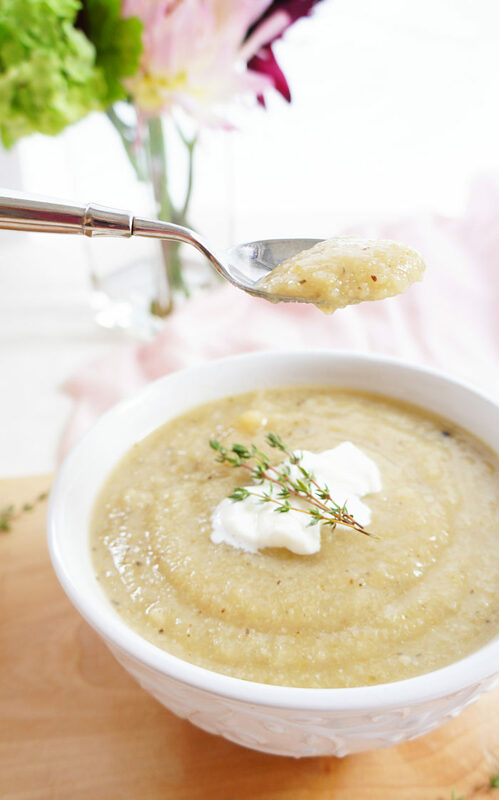 This creamy cauliflower soup is a light and healthy addition to any meal. 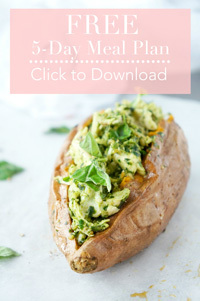 A delicious way to incorporate an extra serving or two of vegetables into your day! Low carb, vegan, paleo and gluten-free. So it’s my first week back to work after my week of vacation, and I’m JUST starting to find my groove again. It takes me a while. Vacation has a weird way of messing with my system. This past week, I really just wanted to get caught up on life again. You know, like do the stuff that I never seem to have quite enough time for. Working out, testing recipes, shooting recipes, shooting more recipes…sleeping in a bit. My favourite part about last week was having some extra time to test out some new recipes and do photo shoots galore! 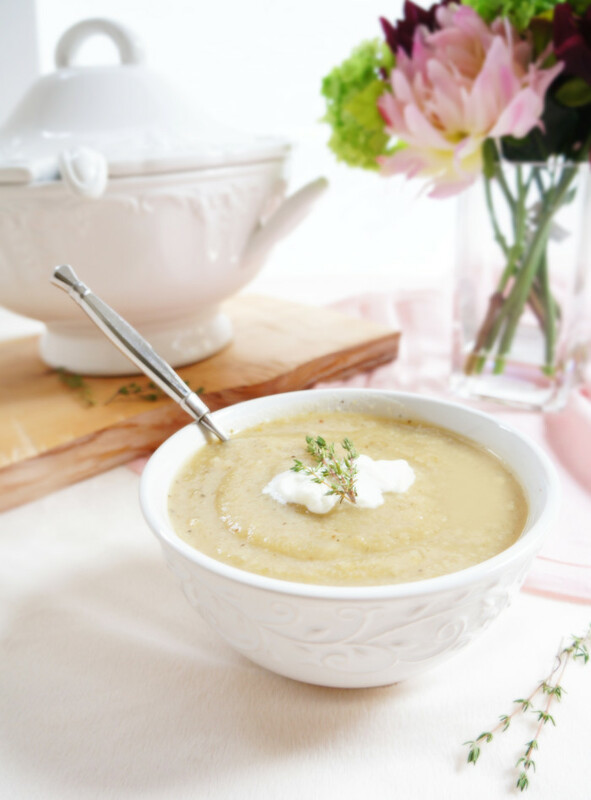 One of the recipes that I made was this yummy cauliflower soup. It’s super healthy because it’s basically just vegetables pureed with a bunch of broth and spices. No cream whatsoever, which makes it into a much lighter version, that’s equally satisfying. And it’s such a great way to sneak some extra vegetables into the day, ESPECIALLY for those non-veggie lovers. Because I work with so many picky eaters who don’t like to actually physically chew on vegetables (which boggles my mind!! ), I’m constantly trying to find different ways of incorporating some of those extra nutrients into their day. This cauliflower soup does the trick. Plus, who doesn’t like a nice warm bowl of soup?! It’s SO warm and comforting, especially after being out and about in the chilly weather. Heat the oil in a large saucepan set over low heat. Add the onion and celery and cook, stirring often, for about 5 minutes. Add the cauliflower and diced potato and cook for one minute, stirring often. Sprinkle the sage, mustard, and celery seed over the vegetables, stir until evenly distributed. Cook for approximately 20 seconds, or until fragrant. Pour in broth and bring to a simmer over medium-high heat. Cover, reduce heat to low, and simmer until the potato and cauliflower are soft when pierced with a fork, about 15 minutes. Working in batches, puree the soup in a large blender, scraping down the sides as necessary. Return the puree to the saucepan, set over medium heat, and cook just until heated through, about 1 minute. Season with salt and pepper, to taste. Sounds delicious! I make a similar soup with cauliflower, but I also add pureed pumpkin. It’s amazing how good the veggies can taste…and you don’t even need the cream! I would love a bowl of this Elysia! While I don’t eat cauliflower raw, I would love it in this soup. Pass me two spoons!!! Haha I’d love to share it with you Allie! The cauliflower tastes great when it’s all pureed with those spices! I love soup season – this sounds flavorful and comfy! Creamy and delicious bowl of healthy goodness! 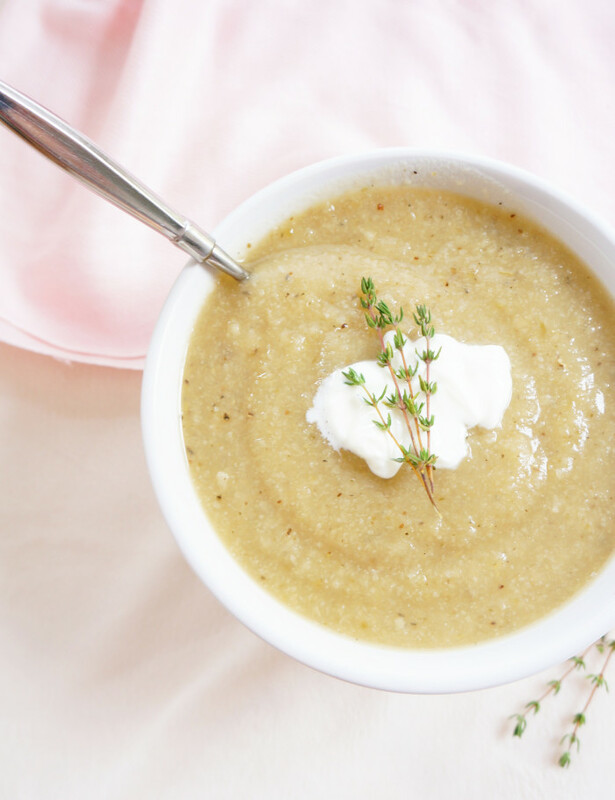 I have a cauliflower sitting in my fridge and begging to be transformed in this soup. Haha thanks Katalina! It’s a great way to use up that cauliflower! Yummy! 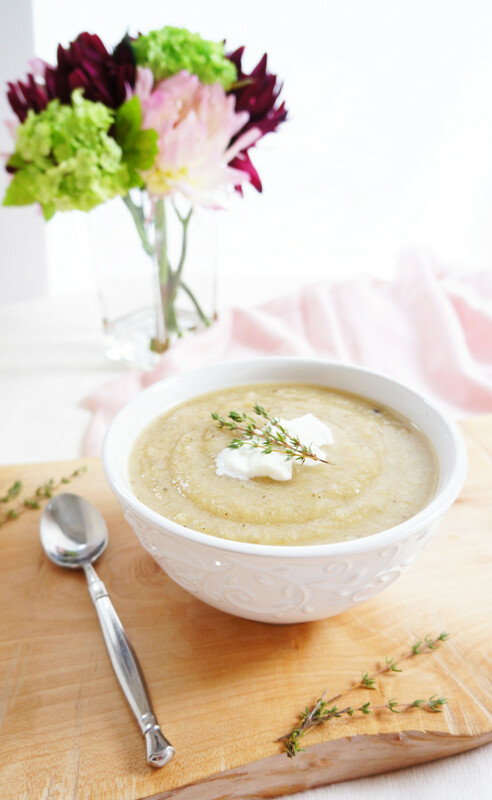 I love easy & delicious soups! Did you forget to mention the celery as one of the ingredients for the cauliflower soup? How much of it should we use,one stalk or two? I love cauliflower, will try the soup soon. Thanks. Did you forget to mention the celery as one of the ingredients for the cauliflower soup? How much , one or two stalls are needed? Thanks for the recipe. Sorry Christel, there was an error in the recipe. I used two stalks, but feel free to use more or less. Thanks for catching that error!